1) someone needs to explain to me what's special about Kepa, i have tried, i am no GK expert, i remember seeing young Tea steven and glabach, young Courtois, young De Gea, i remember them doing things that had my jaw drop, i dont see it from Kepa. I honestly don't understand why you don't just sign De Gea. Wants to come, is experienced at the top, has proven is among the best, Spanish NT gk so he has a big name and adds star power. Give them Bale, who is literally always injured, and they'll bite off your hand. Funny u mention Luca Zidane I read a piece in elconfidencoal describing an internal debate between the club and Zidane, where the club wish to sign someone to compete with Navas but Zidane wanted to promote Luca as back up GK...lmao. This is nepotism, like with benzema, Luca is terrible. Never liked that loser courtois. Shame about De Gea though. While I recognize his talent, he was most certainly an idiot. He should have never signed that renewal. what on earth was he thinking? Dug the Madrid transfer grave himself if he was actually interested. He only has himself to blame. Kepa on the other hand is playing this smart. If he desires us he must continue what he's currently doing: stalling and delaying contract talks to January. Kepa clearly wants the move more than De Gea. I don't see a problem with Kepa. Especially when we're going to get him on the cheap. Money saved for a good forward which is required. Don't know about you lot but I think a new forward should be a higher priority. Nick, I think you are reading same as I did last week. I don’t believe it. I do think Kepa is good, but I don’t believe he will come in January. The plan that I understood some time ago was to bring him in next summer to replace Casilla, who he is already better than. Kepa is 3rd keeper on NT and already threatening Reina for #2. However the plan wasn’t to push Navas out rather to compete with him, much like the situation was at Barca with Bravo and Ter Stegen. He would take over from Navas either in 2018 or 2019. As to Lucas, I can’t really see anyone rating him. Did you see his preformances at Castilla this season? As to Zidane’s influence, if he keep going the way this season is likely to turn out (no trophies), he likely won’t have any say, at least at Madrid, next summer. As to De Gea, I get the sense, that Flo doesn’t want to deal with Man U (nor Tottenham for that matter) especially if the price tag remains 70+. Hans keeps saying we can offload Bale (and even Benz) but who in their right mind would pay big money for them. I think they may be interested in De Gea in another year, once his contract is winding down and thus the sale value decline, if Kepa doesn’t work out? If ZZ wants his son Luca to do well he should loan him out, not let him rot on the bench. I still don’t understand the urgency for Kepa. Yeah, Casilla hasn’t been fantastic, but he’s a back up, what do you expect? Navas is still quality IMO. I would love De Gea, but that ship has sailed. He’s not going to let him contract wind down, and at that point he won’t be the young, fresh GK he was then and kinda still is now. -will pay 25 mil to Athletic, 5 mil more than the release clause to keep things amicable. 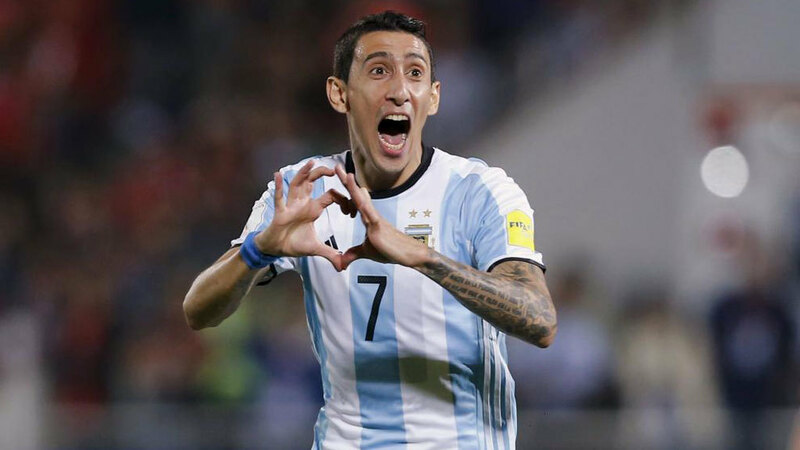 Is he better than Navas? I don't think so... not a healthy Navas. It's not a smart move to undermine your top keeper in the January transfer window. You better hope Kepa doesn't turn out to be a bust or that Navas doesn't decide to keep himself healthy (so he's not damaged goods when looking for a team) rather than play with his usual reckless abandon. He’s initially coming in to replace Casilla. The plan as I understand it was for this to happen next summer. Don’t really understand why this winter! But the view of talent level is yes he will be better than Navas. Navas has a year or two left. It will be a competition aka as at Barca as to whether Kepa can surpass Navas, next year or year after. If he doesn’t then they look again at DeGea or Courtois or whoever else might be out there. What happens with Casilla in January. He still a decent GK, but who looks for a GK in January? Kepa is almost a sure selection for NT, as #3 and maybe even #2. Is he jeopardizing that with likely only Copa games? Note it does fit in with recent strategy aka Tito’s request that backups are there to challenge starter (and in most cases much younger with talent and an upside). The thing tho is why in January rather than next summer. I just don’t understand the urgency. 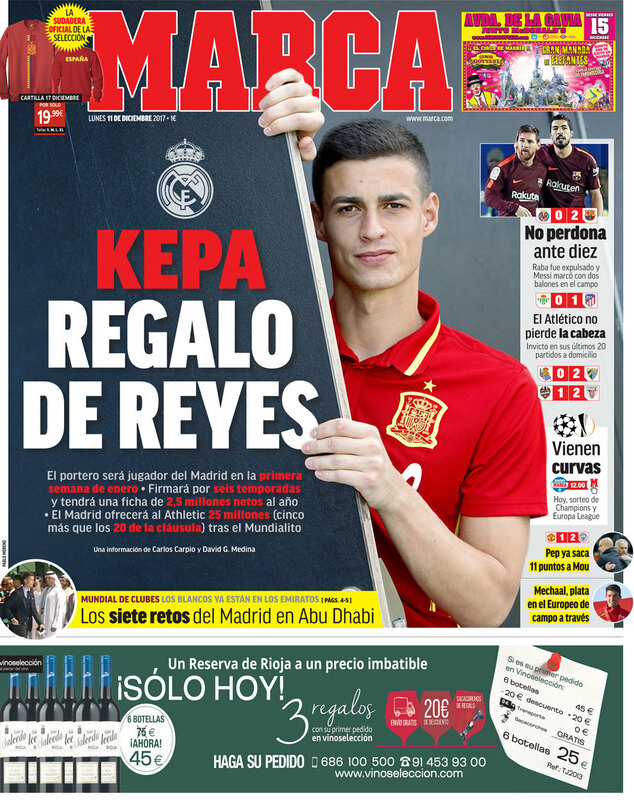 It’s not like Kepa will renew with Bilbao or won’t be available in June. Is there another team lurking that they are worried about? So like RM to frantically buy a position we don't really need and leave the positions we desperately need ignored. In the past it has been kinda the opposite. Buying attackers when we needed defenders and midfielders. Now were buying midfielders and defenders, and now a GK when we desperately need forwards. @bill, the competition thing works only for outfield players, rarely does it ever work for goalies, there's a lot of minute to spare for outfielders, not goalies, and goalies need minutes to get better. the one goalie for league one for cups is a move usually done to pacify goalies, never a long term thing. this, if true is just a gradual phasing out of navas. not exactly why the rush to sign a goalie in winter, but i'm not surprised i said when everyone was talking about winter signings that we'll most likely sign a goalie first for whatever reason. they are signing Kepa now because they are afraid of the competition to sign him during the summer, for some reason there was reported fear PSG was going after him (whether that's true or not). and i agree, competition between keeper is some silly concept that doesn't work. If it does happen, i truly wonder how Zidane will manage that situation, as he has repeatedly protected Navas, and this looks like a "club signing". You know that the story is made up BS when it involves 'paying more than the release clause' to Bilbao in order to 'keep things amicable'. Or have Bilbao changed their board recently? There are tax implications when it is a “hostile” bid. Bottom line is overall cost is lower when it is a friendly accepted offer. And it now appears as if Flo saw the CL draw ahead of time! Think of it, we are already out of la liga, likely will be out of Copa by late January or early Feb and now out of CL in February. The try outs for next season are soon to begin, so Kepa does get the playing time to impress as well as the rest of youth on bench. As to Zidane, he might as well start looking for his next job!